Free Mandala Printable Dashboard For Coloring Fun In Your Planners! This is so exciting!!! I hope great things happen with the shoppe! I’m new to this whole planner world and I’m getting sucked in at full-force! Thanks for feeding my addiction!!! So fun! Would love to win as I’m still a newbie squadette and could use some planner goodness to play with! Thank you! I am SO EXCITED! I am an organization junkie (a place for everything and everything in its place). I just got my first Happy Planner and I am totally sucked in! No more hand drawing and creating my own images for my calendar “planner”. 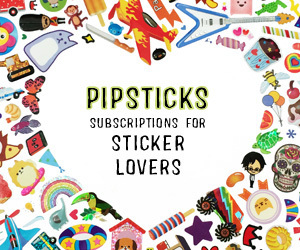 All the stickers & cuteness that is out there! And now you have a store with unique Washi tape and pens….aaaaahhhhhh!!!!!!! This is awesome! Newbie here! Great give-a-way! I love new stuff & things that other people pick out to use – it seems its always different things that I don’t think about! Im new to the planner world as well, I would love to win some pretty planner supplies. Thanks for the giveaway. Congratulations!! I would love to win because of all of the awesome things included in the giveaway. A planner dream giveaway. I could put all of them to amazing use. Congratulations on opening a shop!! I’d love to win this giveaway because who doesn’t love winning?! Thanks for the chance! I’m a newbie here and I’m so glad to be a part of the group! Sometimes my life is so hectic I need ME time to play! I love seeing everyones weekly or daily planners, its inspirational and motivational for me. I would love the chance to win so I can make my lonely planner happy again! Thank you for the chance.. Have a wonderful day! This is awesome that this opportunity happened so soon! Congrats and blessings! Maybe all this cute stuff will inspire me to finally get organized! Congrats! I’m so happy for you guys! I luv watching your squadet ( ya I know I spelled it wrong but hopefully close lol ) show when I get the time free to. And your blog and free printables Rock! Keep up all your fab work and can’t wait to get some shopping in! I can’t wait to get my order in the mail. I’m so excited, feel like a little girl waiting for Christmas lol. I want to win the swag bag so bad, I can feel it. ? Congratulations!!! ????? I’m so happy for you two!!! I see this becoming big and quick!! So glad to be a part of this ? ?